I love to bake (and cook!) 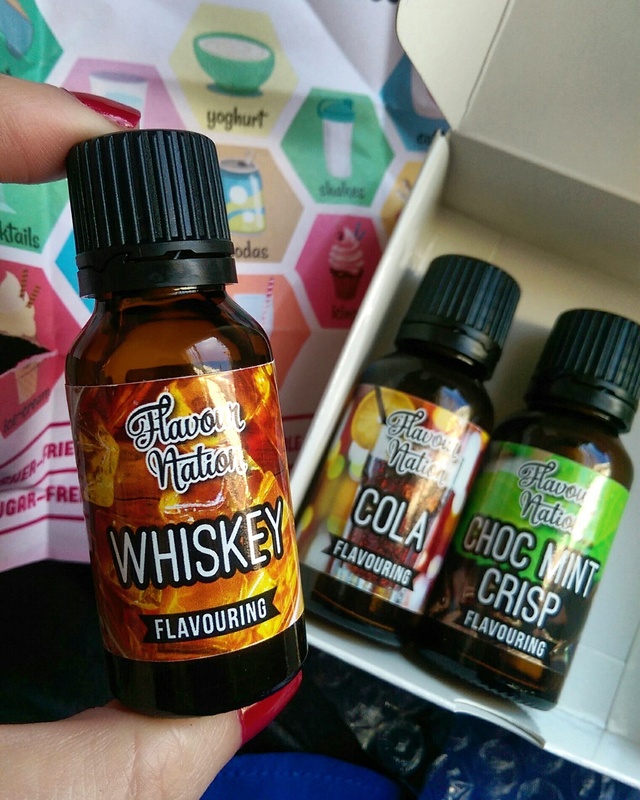 so when my friend Lizzie told me about Flavour Nation, a local company that makes sugar and kilojoule-free flavourings, I had to try them for myself. If you check out their site you’ll see they have a wide arrange of flavours that range from the expected chocolate and strawberry all the way through to exciting-sounding dragon fruit, apple crumble and bubblegum! After a bit of a browse I picked out cola, choc mint crisp and whiskey and mentally planned all the things I would do with them. Choc mint crisp hot chocolate? Yes please! A li’l ‘whiskey’ in my booze-free dom pedro? I’ll take some of that! You could add them to pretty much anything, really – from yoghurt and ice cream to cookie dough or sparkling water. Also, I’ve got to give a quick shout out to the super cute package it arrived in. This box does not like being opened upside down, yo! Anyway, the first thing I whipped up was Peppermint Crisp cupcakes that might have spotted on my social media accounts. Guys, these were sooo good, you have no idea! I promised to share my recipe, which is, like, ridiculously easy so here it goes. To start, I bought a Snowflake chocolate cupcake box mix because I’m a lazy cow and I love the way their ‘cake’ tastes. You mix it up using oil, milk and an egg and the result is a very moist cupcake that everyone assumes you made from scratch. I then took the chocolate icing portion of the kit and used it to make my favourite cream cheese frosting. It’s just a matter of melting a third of a brick of butter (never marge! ), adding a tub of cream cheese and a squirt of lemon juice. 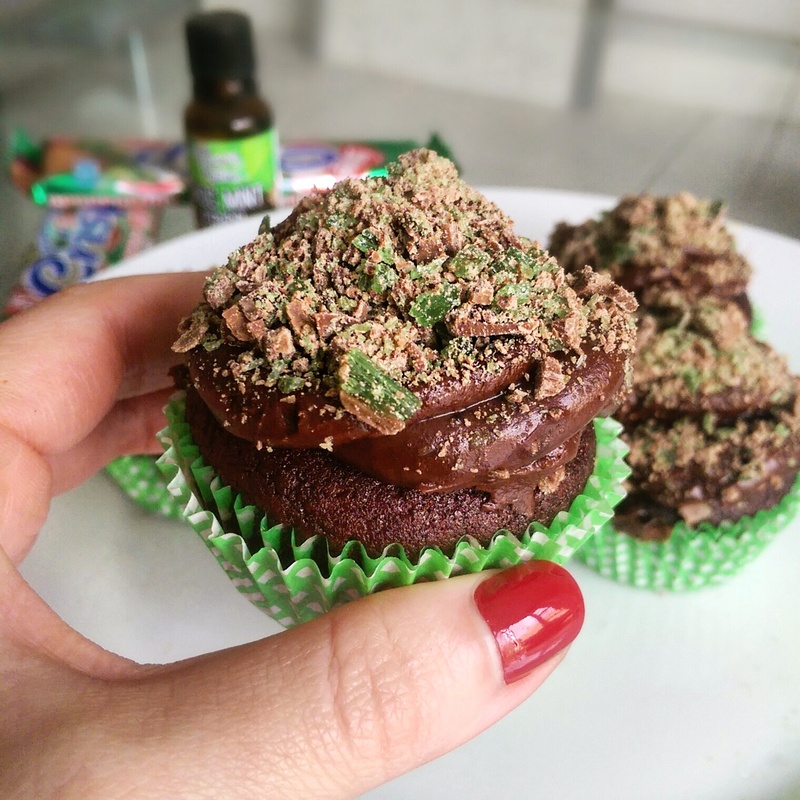 Immediately you’ve got chocolate cream cheese frosting and then you can send it to flavour town with a few drops of Flavour Nation’s choc mint crisp flavouring. Once the cupcakes cooled, I iced them and finished things up with a generous sprinkle of crushed Pepper Mint Crisp chocolate. Told you it was easy right? The next set of cupcakes I made were going to be Jack and Coke flavoured as I was going to add the whiskey flavouring to the batter (using my same beloved box mix) but I totally forgot. Oops! I did add a few drops of red food colouring to it, however, to give it a red velvet visage. I got red glitter everywhere! My home looked like a dressing room from the Moulin Rouge! As far as the icing goes, I made the same cream cheese frosting (as per above) but used plain white icing sugar (not the chocolate kind that comes with the mix) and added a few drops of Cola flavouring. The result was magnificent! 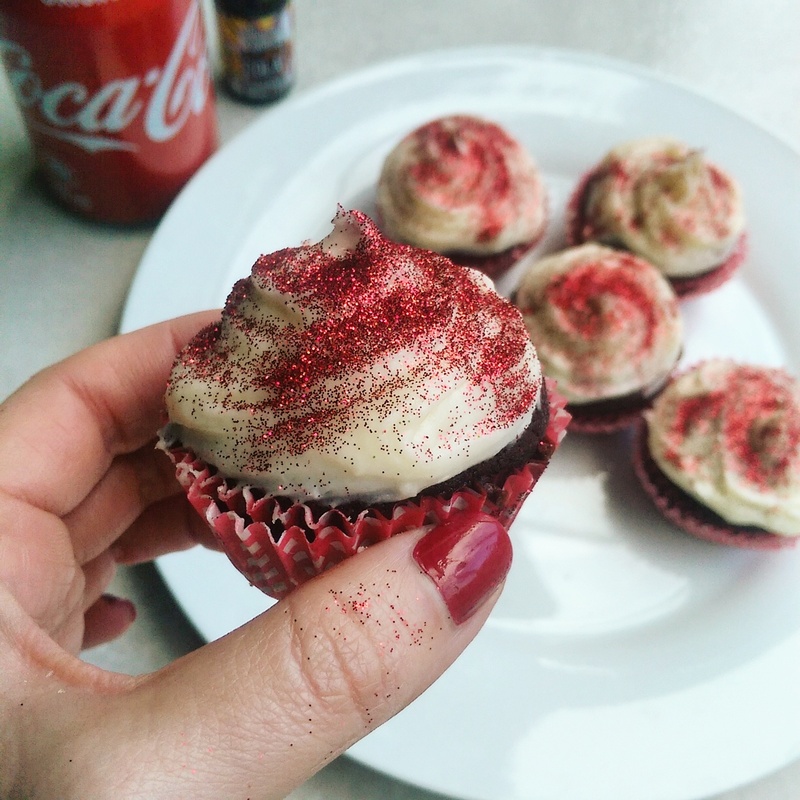 I initially planned to decorate each cupcake with a gummy cola bottle (Haribo makes them) but couldn’t find any in store so I settled, rather glamorously, for scarlet edible glitter that I found at The Baking Tin in Belvedere road in Claremont. So! If you like to bake or just appreciate your food and drinks with a li’l ‘extra extra’ I think you’re going to have fun with Flavour Nation. Each flavour is just R35 a pop! I totally regret not buying bubblegum. Want to use it to make ice cream!